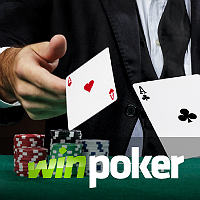 WinPoker is an online poker gambling site that features Bitcoin payment options. It belongs to the largest network in the world, the iPoker Network, which has more than 30,000 active players during peak times. This means that players here will be competing against those of the other poker sites that are also part of the network. With such a high level of competition, poker enthusiasts will absolutely have a blast catching winning poker hands in every round. However, make sure to check out the other features and services it possesses before wagering. Having many cash games is essential for any online poker betting site. That is why it is an advantage for WinPoker to have several poker variants that include Texas Hold’em, Omaha, Omaha High/Low, 5 Card Stud, and 7 Card Stud Poker. Moreover, these games are playable with different betting limits, giving online poker players the ability to choose their preferred ring games. 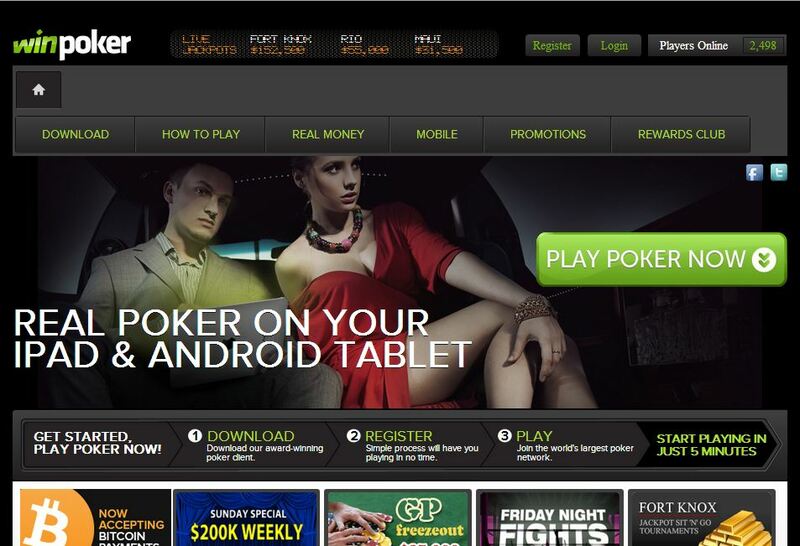 This Bitcoin poker betting site features an extensive collection of tournaments. Thus, players will easily find a series of guaranteed and sit n go tournaments. As a matter of fact, satellite tournaments are offered here, especially in major live events. WinPoker takes a great deal of pride in its poker software; therefore, it is positive that every player will have a first-class betting experience with its poker products and services. Its poker client is powered by Playtech, one of the leading online gaming software providers, and is optimized to run smoothly on the Windows and Mac operating systems. In addition, this software has mobile-compatible version, which runs on various mobile devices using the iOS and Android mobile platforms. Thus, avid poker players can bring their games and tournaments on their smartphones and tablets wherever they go. This online poker gambling site has opted to accept payments made in the form of the popular digital currency Bitcoin. With this, bettors can simply make deposits using their bitcoins. However, they will not be playing poker using this alternative currency because it will be converted first to any of the three fiat currencies USD, EUR, and GBP. The same rule applies to withdrawing funds in order for Bitcoin poker players to cash out their winnings in the form of the digital currency. However, the withdrawal process may take a while because it follows the procedures designed for the conventional modes of payment. Aside from the 100% matching bonus offered to new players who make their initial deposit, WinPoker also has a fantastic set of promotions that includes the Bad Beat Bonus, Mega Buff bonus, and its lucrative rewards program. Indeed, poker players will surely enjoy when they play poker with Bitcoin here.